The story begins in November of 2004 with Barrett having been dumped via text message, he lives with his older brother Tyler and Tyler's fiancé, Beth, in Brooklyn. On a night like any other Barrett is obsessing over his last breakup and its unceremonious end while walking through Central Park. He looks up at the sky and sees a light, greenish in color and below the stars, that seems to be intently looking back at him, before it abruptly disappears. Barrett isn't religious, he doesn’t believe in visions, and he thinks that he must be going mad. The light must have simply been a delusion, but what if it wasn't? No one else seems to have seen it, it doesn't make an appearance on the news and for some reason, perhaps his fear of madness, Barrett decides to keep the light to himself. Tyler is a struggling musician, and cocaine addict, who is desperate to write the perfect song to sing for Beth on their wedding day. Beth has stage IV cancer and is slowly dying. Tyler has dedicated his life to taking care of her and loves her more than anything. How can he make an authentic song that gives her hope for their future together and also make it loyal to the difficult reality they live in? The story escalates with Barrett being haunted by his possible vision and what it does or does not mean to his life. As well as Tyler denying to everyone that he is still using drugs, while becoming more and more convinced that he needs them to find the music within himself. There are many beautiful insights in this work about what it is like to grow up and be happy with who you are, independent of anyone else. The characters were at times obsessed with their place in the world, relative to others around them, and had to learn how to let go of that obsession. Lines like, "Is it more tragic, or less, to slip so quietly and briefly into and out of the world? To have added, and altered, so little," left me with a sense of awe upon reading them. I was left wondering about my life and what I have done with my time, am I pleased with it so far? In all honesty though, I was really disappointed with this novel and grateful that it was short. 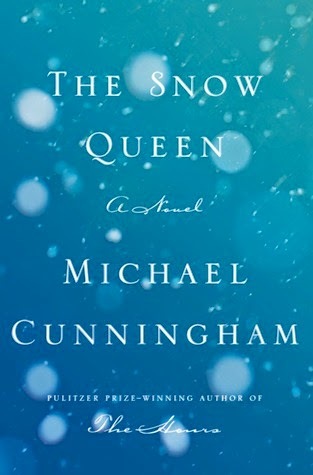 I love The Hours and before reading The Snow Queen I would have said that I was an avid reader and loyal fan of Michael Cunningham's work. I will have to think twice before picking up his next story because I simply couldn't connect with any of the characters or plot (if there is one) in this book. At times each character would become appealing, I found some of their philosophical ruminations attention grabbing and their world view was very different from mine, so I enjoyed thinking about that for awhile. Most of the time, however, all of the characters acted like they were in their twenties instead of forties and fifties. I found them all immature and judgmental of the young people around them, as though they really knew more about the world than those young people did. If they did know more about the world I didn't see them do anything about it, they were all stagnate and self-destructive, acting like they were still figuring life out in their twenties too. Drugs, laziness, obsession with things beyond their control, all ruled their lives and I couldn't help but hope that I would be in a very different state of life by that age. I still don't understand Tyler and Barrett's relationship completely, at times it was good to read about brothers connecting so well and having such a good relationship, but at other times Cunningham used disturbing marital and paramour-like jargon to describe them, saying things like, "no longer siblings, we are mates," and "to act, in public, like ordinary brothers, and keep their chaste, ardent romance to themselves." Although Cunningham jumps years a couple of times in the story, I didn't honestly feel like any of the characters developed or that anything really happened over all of those years. I am still trying to pull out some enlightening metaphors from the work and figure out what I missed, but this is wishful thinking on my part, wanting to see more from what isn't there. This might seem like too harsh of a review, I want to emphasize that I still believe that Cunningham is a wonderful writer and I enjoyed some aspects of the book, but I can't see myself recommending this specific work to anyone. Instead of recommending something to drink with this book, I have decided to pick a drink that simply depicts the book and in at least one way encapsulates its essence. This week I bought some sparkling pink lemonade and sparkling mixed berry juice, which were both wonderful drinks. I had the idea that they might taste well together when mixed, but found that they somehow just didn't go well together. Something about the berries in the one drink and the extra flavoring in the pink lemonade just didn't suit one another, as this novel did not suit me. This book, like that mixture, was very pleasing in theory and I looked forward to the outcome, but I was disappointed with both.